The automatic barrier range has inverter driven motor and gearbox controlled by PLC control board. Barriers are 100% duty cycle and require no counter balance weights or springs. The boom arms have a monitored 8.2K Ohm safety edge fitted and integrated LED lighting. Barriers have manual override in case of power failure and are available in sizes from 2m to 9m. Barriers can be integrated with any form of access control for activation. 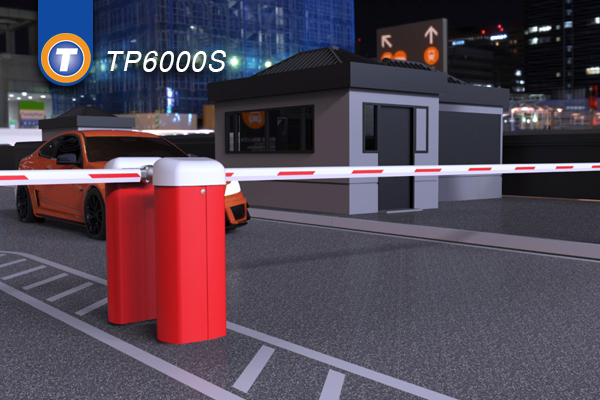 The TP6000S automatic barrier uses the latest technology to maintain the barriers smooth operation. Barrier has inverter driven motor and gearbox drive controlled by PLC control board all housed within an aluminium cabinet. The inverter driven three phase motor and gearbox offers reliability and high torque rated for 100% duty cycle and due to the design requires no counterweights or springs. The boom arm has a monitored 8.2K Ohm safety edge fitted and integrated LED lighting. The boom is fitted by use of shear arm adaptor to allow easy replacement of the boom and minimise damage on impact. Maximum boom length of 6m plain pole, 4.5m with hanging skirt. Power Supply required of 230 Volt 10Amp. Barrier has manual release in case of power failure. Fixed boom arm support, Swinging boom arm support, Hanging skirt, Magnetic lock on boom support, Articulated boom arm, STOP & NO ENTRY signs. 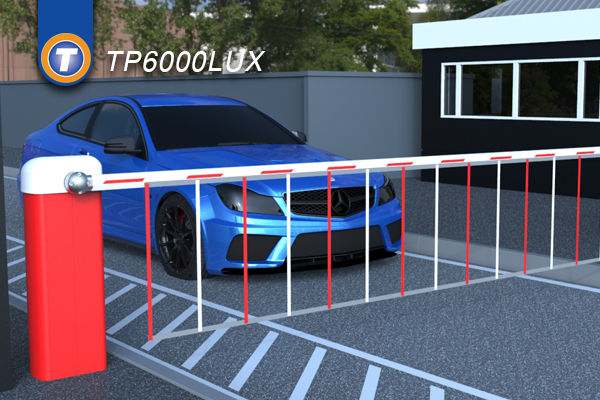 The TP6000L automatic barrier uses the latest technology to maintain the barriers smooth operation. Barrier has inverter driven motor and gearbox drive controlled by PLC control board all housed within an aluminium cabinet. Maximum boom length of 7m plain pole, 6m with hanging skirt, 4.5m with top and bottom (Hi Bar) skirt. Fixed boom arm support, Swinging boom arm support, Hanging skirt, Top and bottom (Hi Bar) skirt, Magnetic lock on boom support, Articulated boom arm (restricted ceiling height), STOP & NO ENTRY signs. 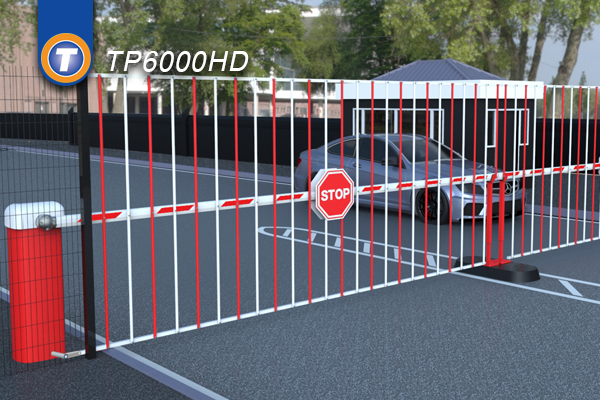 The TP6000HD automatic barrier uses the latest technology to maintain the barriers smooth operation. Barrier has inverter driven motor and gearbox drive controlled by PLC control board all housed within an aluminium cabinet. Maximum boom length of 9m plain pole, 8m with hanging skirt, 6.5m with top and bottom (Hi Bar) skirt.